The seminar US and China Intellectual Property Dialogue – Latest Developments of Intellectual Property Law and Enforcement will be held this Thursday, October 2, 2014 at the Hyatt Regency, Santa Clara. Additional information is also at http://svipla.org/event-1712495 or via email from info@chinaIPfund.org. The program will include such notables as former PTO Director Bruce Lehman, former SIPO Commissioner Gao Lulin, Former SIPO DG of Law and Treaties, Yin Xintian, and John Cabeca and Elaine Wu from USPTO. It is free of charge, including breakfast, lunch, and coffee breaks with cocktail reception to follow. The next day, on October 3, the University of Toledo Law School will be sponsoring another all day program “Doing Business in China: A Legal and Commercial Review”. The fee is only $35.00 and also includes a solid bench, including Tom Moga, Peter Yu, Elizabeth Lai Featherman and me talking about IP issues. CLE credit is available. Marks & Clerk (www.marks-clerk.com), an International IP Boutique firm, is recruiting for a Patent Attorney in its Beijing office. Those interested in this position should send a cover letter and a resume in English to: JCleeve@marks-clerk.com. Members of the Ministry of Commerce, including the Americas division, the Law and Treaties Division and the IP Leading Group. Note that I will be moderating this discussion. NOTE: The delegation speaks excellent English, but translators will also be available. Seats are very limited. Please RSVP immediately. Attendees will be responsible for cost of their own dinners (approximately $100). Please bring a check. Register by emailing events@cblalaw.org and specify which event(s) you would like to attend. Here is a digest of some of the highlights of the half day program hosted by MofCOM on IP in Washington DC on September 12. The Supreme People’s Procuratorate gave a useful overview showing the policy reasons for the big increase in criminal IP cases, including the expanding role of the procuratorate. SIPO underscored the increase in its examiners and the decreasing pendency periods to 22.2 months. SIPO has also conducted a social survey which showed a relatively high approval rating of its procedures (81.8%). The Chinese side did not address the foreign-related impact of the Specialized IP courts. However the low foreign utilization of the civil IP system was generally acknowledged. Regarding the new TM law, procedures for auditory marks was discussed, oppositions for non use, and changes in the recordal system for licenses. SAIC was careful to underscore that its recordal system did not require submission of business confidential information. SAIC also discussed the changed provisions for liability by reasons of “providing convenience” to infringement, including storage, transportation, mailing, printing, concealing, providing a business premises and providing an on-line goods trading platform. SAIC also noted that the TM law also sought greater coordination with other laws, including the anti-unfair competition law and criminal laws. For example, it provided support for demonstrating “intentionality” in TM infringement when other indicia, such as trade dress infringement, are present. Chinese IP Attaché Chen Fuli also noted that a key provision of the new TM law was its including of concepts of honesty and credibility into the TM system, which were borrowed from the civil law. The National Copyright Administration noted that there were now at least 632 million Internet users in China, and 527 cell phone users, with 2,730,000 websites. NCA also noted that there were widely differing opinions on the types of amendments that were necessary for the copyright law. In revising the law to address recent developments, NCA was looking at earlier State Council regulations on on-line liability, and recent civil and criminal JI’s. NCA also noted that the on-line “Sword Campaign” resulted in 201 cases sent to criminal referral. 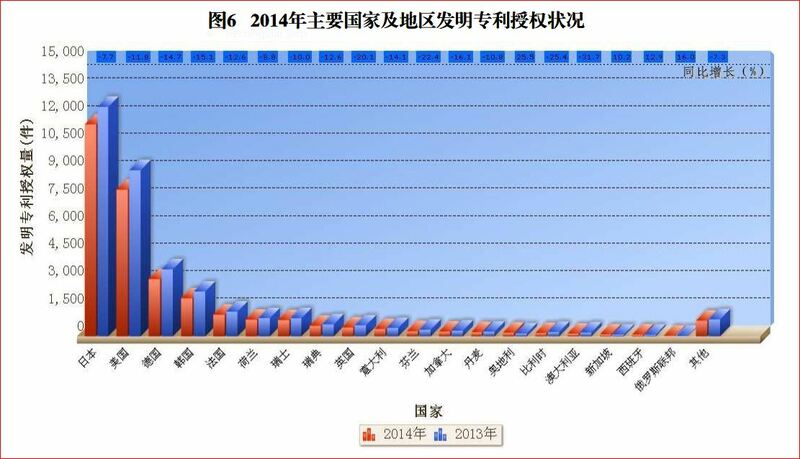 In addition NCA was supervising 25 websites for their content of top movies, and TV programs. In NCA’s view, music and published works were continuing to experience significant problems, and NCA hoped to address these through a black-list system. Also, NCA noted that many IP addresses for companies that were subject of its enforcement campaigns were located overseas, including in the US. The Leading Group reviewed its numerous, generally successful, efforts at improving coordination on IP enforcement, including its recent campaigns. Unfortunately, its special campaign on trade secrets had only resulted in 21 administrative enforcement cases in the first half of 2014. Regarding China’s sui generis system of GI’s, AQSIQ noted that this system was based on China’s Product Quality Law, and was initially implemented in 2004 by the Department of Science and Technology of AQSIQ. AQSIQ noted that relevant rules governing operation of the sui generis system included the Provisions on Protection of Geographical Identity Products, and the Working Rules on GI Product Protection, which provide for opposition and cancelation of GI applications. Describing GI’s as a “public rights” system, AQSIQ also noted that it has set up a GI working group, it has started work on a GI products encyclopedia, it had promulgated over 1000 standards for GI products, and that it had set up exemplary zones for GI products.. AQSIQ also noted that NAPA Valley had secured GI protection in China. Its GI application was published in August 2011 and there had been no opposition to it. Altogether, it was a useful and informative program. Full disclosure: I co-moderated the program, although this summary represents my personal views only. “In contrast to the FTC’s and EC’s approach, media reports indicate that China’s antitrust authorities may be willing impose liability based solely on the royalty terms that a patent owner demands for a license to its FRAND-encumbered SEPs, as well royalty demands for licenses for other patents that may not be subject to a voluntary FRAND commitment. I am seriously concerned by these reports, which suggest an enforcement policy focused on reducing royalty payments for local implementers as a matter of industrial policy, rather than protecting competition and long-run consumer welfare. Here is the link to the full text of the speech. In an unrelated development, Deputy FTC Commissioner Marueen Olhausen was reported by the Chinese press as cooperating in a “joint siege” (共商围剿) on “Patent Troll” companies, with the Chinese, European and Korean enforcement agencies, at an antimonopoly law conference in Seoul, Korea on September 4 which focuses on Patent Assertion Entities. At that conference, NDRC’s Xu Kunlin reportedly discussed “problems arising from bringing enforcement actions against patent trolls companies” with foreign competition enforcement counterparts. Xu also reportedly discussed enforcement actions against holders of SEP’s involving bundling of patents, including licensing of expired patents. Of course, patent trolls have some history in China, as I have previously noted. The Chinese press noted that Olhausen referred to the FTC’s on-going research into this area.